The season for bee swarms has drawn to a close and we’re now concentrating on keeping the bees happy and encouraging them to make honey. If you have bees that have entered a roof or wall cavity, click here for more information. and ensure that the bees survive. We remove bee swarms fast and for free. We respond to calls very quickly (if you leave a message we will return your call instantly or within 2- 3 minutes or less) and can have one of our bee keepers respond and remove the swarm very quickly, 7 days a week. Bees swarm as a natural part of reproducing hives. The bees and their Queen are looking for a new home. 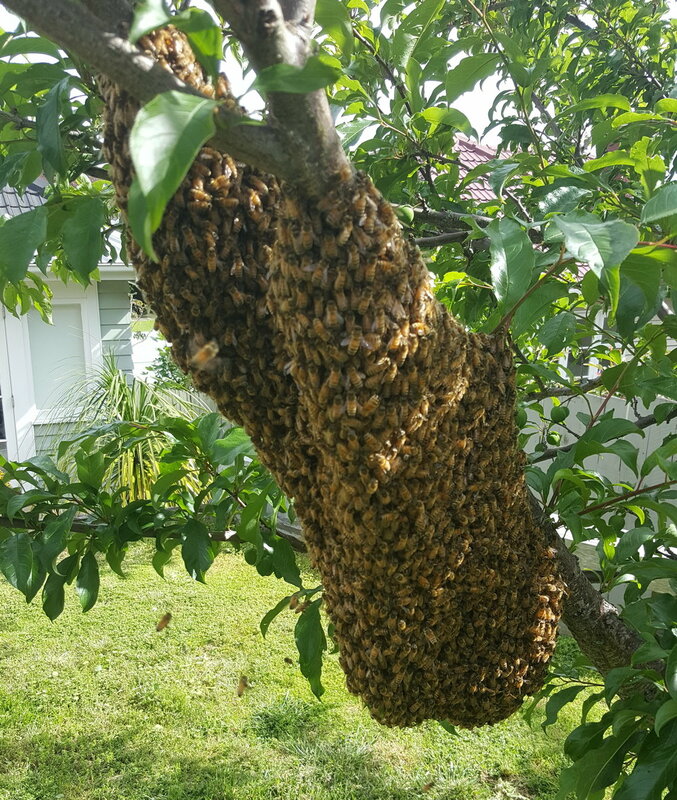 Unfortunately, in New Zealand, it's very unlikely that a swarm will survive in the wild due to varroa mite and pesticides. If you see a swarm don't worry, bees are normally quite calm in this state... but don't get too close. We rehouse swarms into hives, treat them for any varroa mite and feed them if required. This gives them the best chance of survival. We are experienced and registered Bee Keepers and have DECA certification. Sometimes there is confusion between bees and wasps. Wasps are usually a very bright yellow colour and don't swarm in large clusters like bees. In many cases, they form colonies underground. Wasps can be very aggressive and can sting multiple times. Do not approach a wasp nest. Wasps are the enemies of bees. They kill bees and rob beehives. Click here for a list of wasp controllers in Auckland. More information about wasps can be found here. We sometimes get calls about Bumble Bee nests. Bumble Bees are an introduced bee into New Zealand and live in small colonies of between 50 and 500 bees. In many cases, due to the placid nature of the Bumble Bee, it isn't necessary to remove the nest. We don't remove Bumble Bee nests. 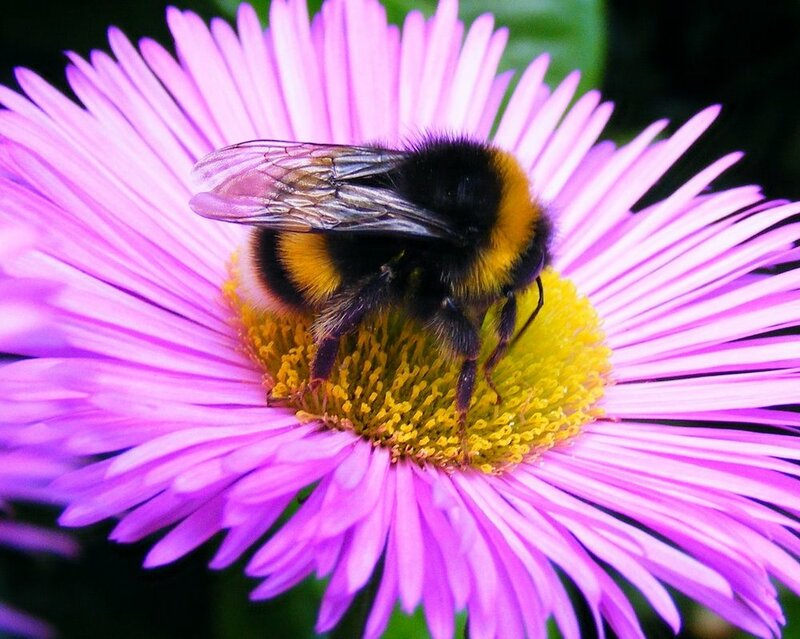 For more information on Bumble Bees can be found here and also at the NZ Bumble Bee Conservation Trust, and Buzz About Bees.